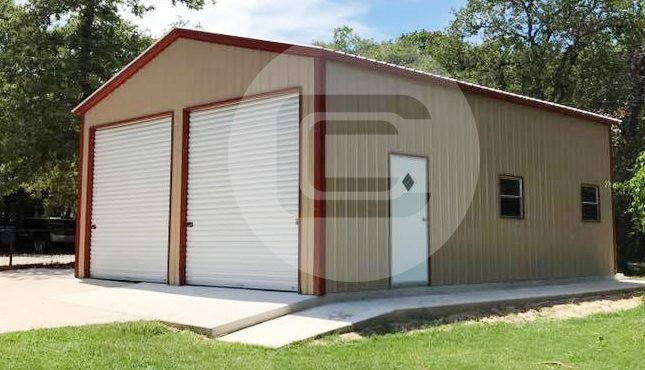 The two-car metal garage shown above is 24’W x 35’L x 11’H and features two 10’x10’ roll-up garage doors, one 36”x80” walk-in door, two 30”x30” windows, 14-gauge steel framing, and all-vertical panels. The vertical roof is highly-recommended to our customers who reside in areas with extreme weather, such as high winds and heavy snow. 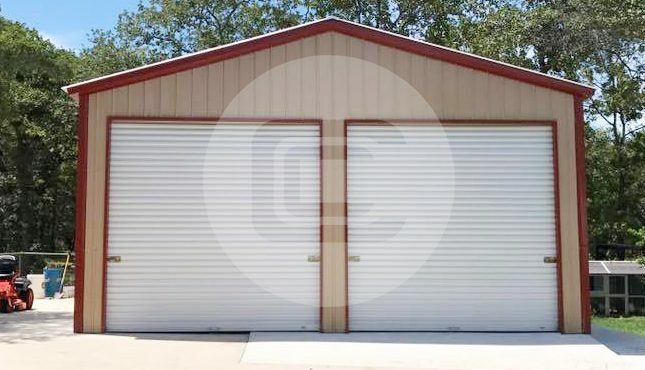 This spacious garage can be used for so much more than parking your vehicles; you can utilize the space for storage or convert the interior for a business. 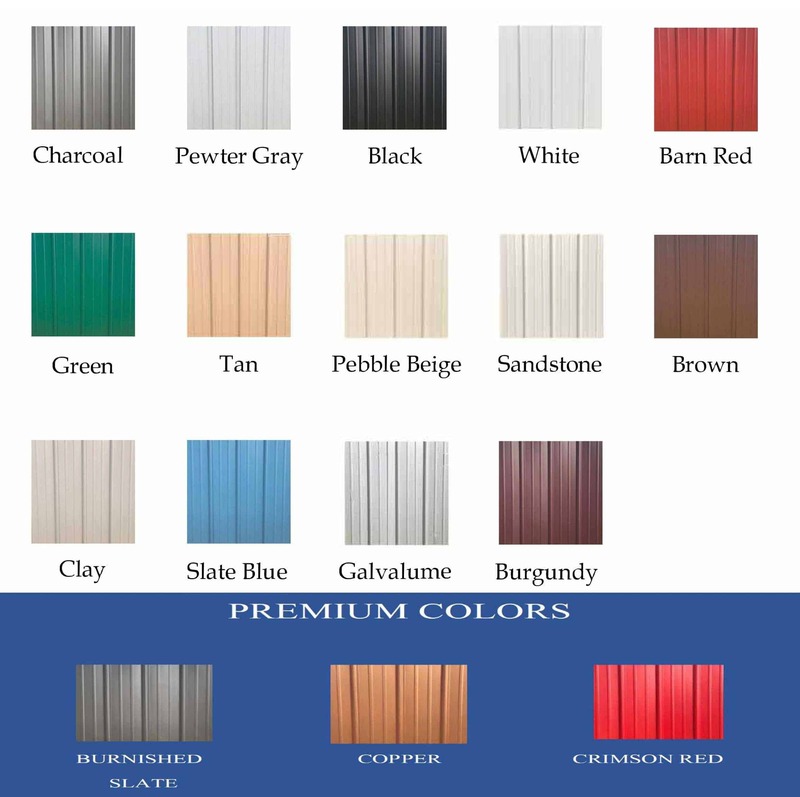 Call one of our building specialists today at (844) 860-4950 to discuss your requirements.